You’ve set up parental controls in Netflix, and worked to make YouTube kid-friendly, and your kids already love it. But there are several other channels you can add featuring only kid-friendly content, from Sesame Street to Pokemon to GI Joe—all for free. We’ve shown you the best free Roku video channels, but all of those add-ons focused on content for grown-ups. If you want to offer your kids a few channels of their very own to browse and watch, here’s the best free Roku channels with kids shows. Let’s get started! When it comes to offering kids shows without a subscription fee or commercials, it’s hard to match PBS. The network of public TV stations offers episodes of all its kids shows on the PBS Kids channel for Roku, all without commercial interruption. Curious George, Bob The Builder, Thomas The Tank Engine: they’re all here. You don’t even need an account to use the channel. Just install it and you’re ready to go. 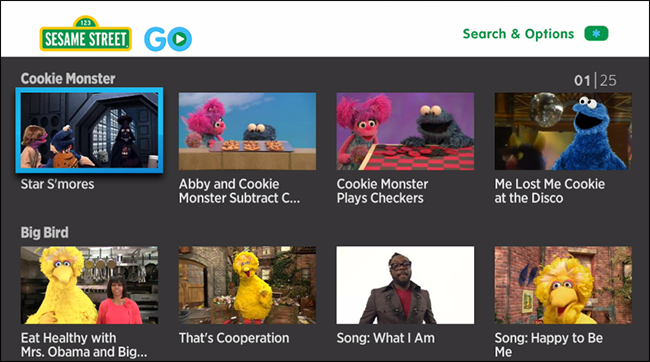 PBS Kids offers a few full episodes of Sesame Street, but if you want to browse clips featuring Elmo, Big Bird, or Bert, you need to Sesame Go channel. There’s all sorts of clips here. Formerly a subscription service offering full episodes, Sesame Go became free when HBO acquired the rights to air new Sesame Street episodes before PBS. Installing the channel gives your kids a way to watch their favorite clips again, and you a way to browse clips by educational category. Sick of all this educational stuff? 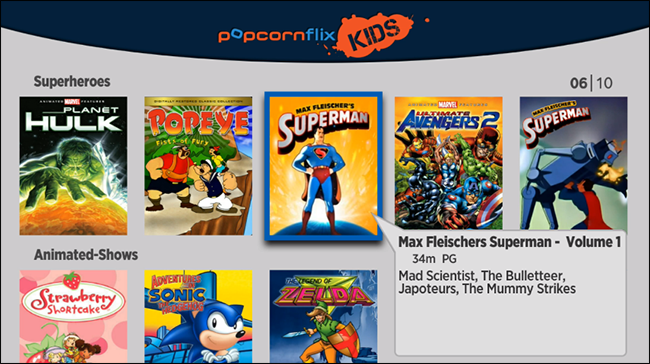 Popcornflix offers good old American superhero cartoons, with titles from from Marvel and DC. There’s also a lot of video game content: Sonic, Mario, and The Legend of Zelda are all represented. And if you want to share some nostalgia with your kids, there’s also retro cartoons like Inspector Gadget and Popeye. The downside: commercials. You’re simply not going to find much free content without ads outside the public media ecosystem, and there’s a good chance any kids used to Netflix aren’t going to have the patience for that. But if they can get over that, this is a decent collection of free content. Remember GI Joe and Transformers? They, and many other 80’s and 90’s cartoons, were basically advertisements for various toys and games, but that didn’t stop Hasbro Studios—a fully owned subsidiary of the Hasbro toy empire—from creating shows beloved to this day. 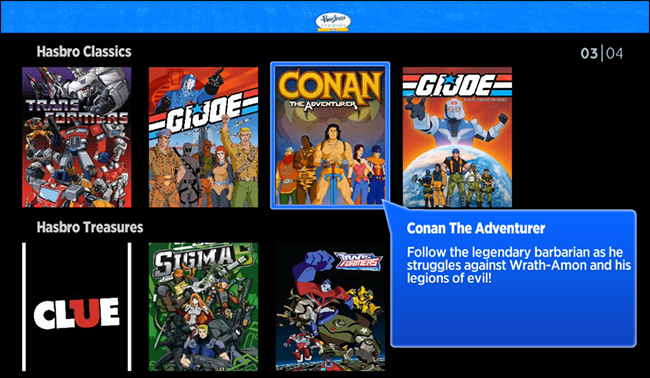 And the free Hasbro Studios Roku channel lets you and your kids watch them. Your kids may or may not be interested in TV shows from your childhood, but hey, it’s free. Again, though, expect to see ads. Kids like Pokémon, right? 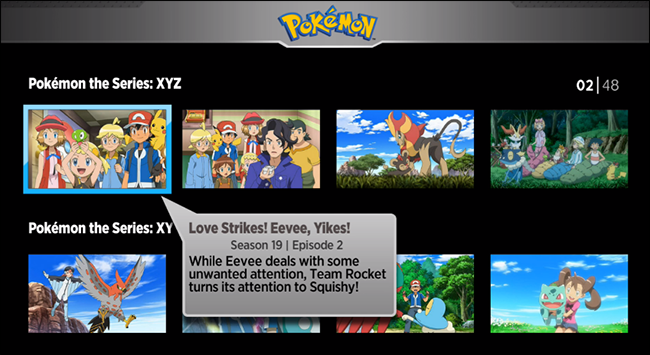 If yours do, it’s worth installing this free Roku channel, which offers a variety of full Pokémon episodes alongside more than a few clips. Again, you can expect advertisements, but that’s what you should expect when watching free content. On the other hand: Pikachu.